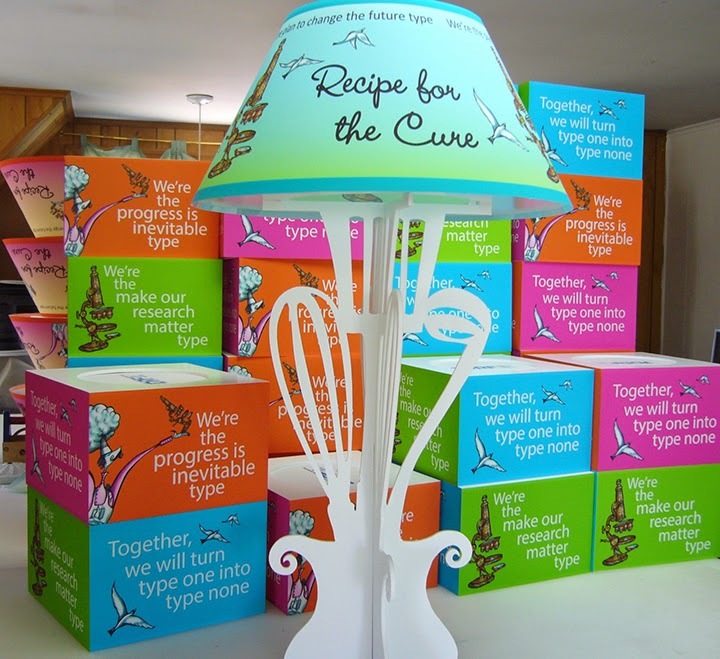 Colorful Centerpieces for JDRF Gala "Writing the Recipe for the Cure"
We very much enjoyed the design process to produce these illuminated centerpieces. 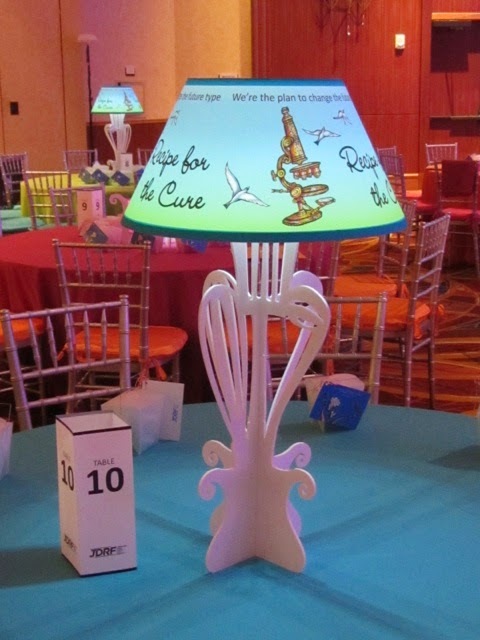 Working with art specifically created for the JDRF fundraising Gala by artist David Russo, our goal was to marry his art to a base that would hold shades that featured both his whimsical art and the important messaging for JDRF. We look forward to seeing photos taken by the professional photographers who attended the event, but for now these give an idea of the colorful decor in the room. 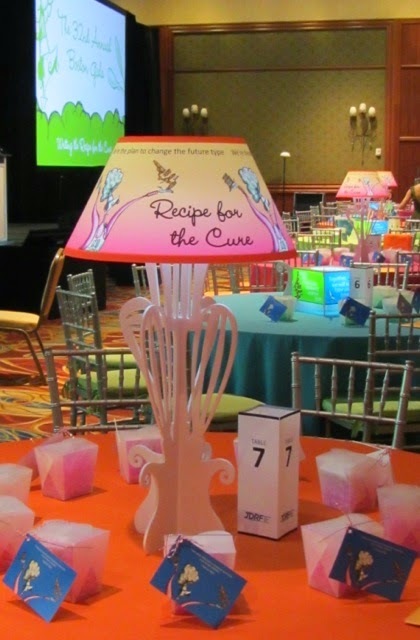 Thank you to all at JDRF who trusted us with their centerpiece decor again this year. We are honored to work with them in their unwavering commitment to funding the best in diabetes research. Working in the studio on a beautiful Spring day. So happy to be working on such a colorful job and for such a worthy cause. Here's hoping the event will be a huge success. 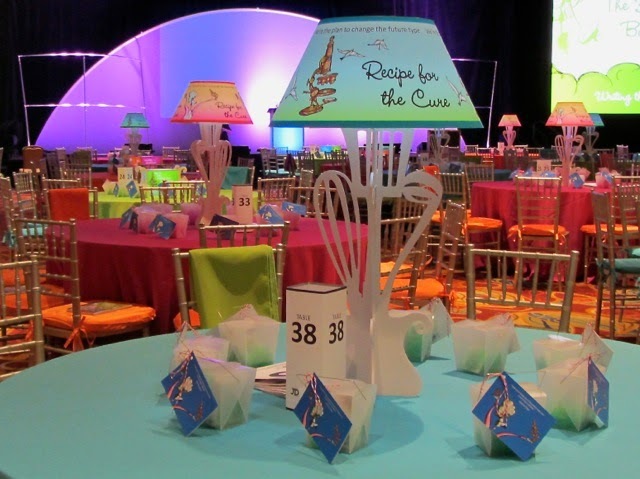 We will follow up with pics from the event with the centerpieces lit up and surrounded by matching decor. 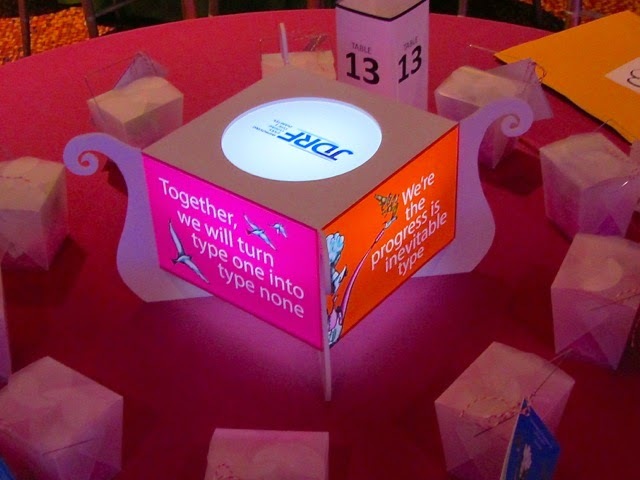 Recently we created illuminated shades that sat atop ice sculpture bases for a Bat Mitzvah at the Aquarium in Boston. 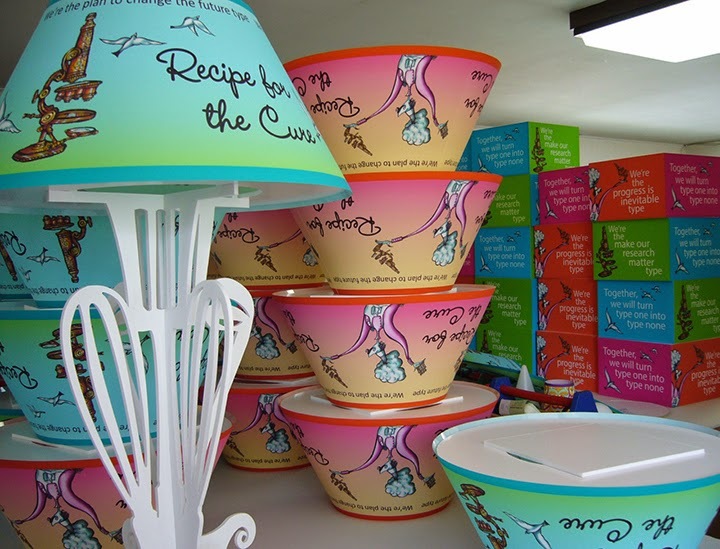 The twins, Rose and Sam, had chosen penguins as their motif, and the dancing duos were seen on the lamps, votive covers and other decor throughout the room. 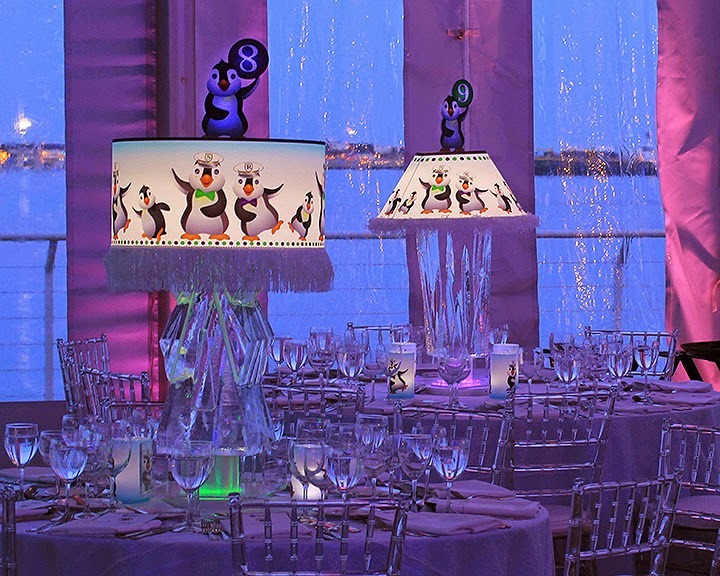 The top of the shades featured a cut out penguin holding the table numbers - a fun way to steer guests to the correct table! The ice sculptures were a novel way to hold the shades and glistened beautifully below the shades. The bases were created by Don at Brilliant Ice Sculptures, and lasted perfectly for the entire evening.